The first half an hour of The Hate U Give feels just like one of the 90s-era family-dramadies which plaster the walls of Starr Carter’s (Amandla Stenberg) bedroom. Starr narrates her life – from her time in her black neighbourhood of Garden Heights to her days at her white private school – revealing the two versions of herself she moves between in each of these spaces. Her narration is evocative of My So-Called Life, the 90s TV drama which was unique in its honest portrayal of teenage life. But where My So-Called Life was mostly shrouded in white privilege, The Hate U Give pulls back this veil so ferociously the audience can only be left vulnerable to its tumultuous fervour and from this place of vulnerability, it is impossible not to tumble headfirst into Starr’s world – into her fear, her conflict, her love, and her anger. The Hate U Give is instructive and intimate, political and personal; it lives in two spaces at once, much like Starr, but also brings together these worlds with such a violent collision you cannot help but be shaken awake by it. The opening scene is “The Talk” in which Starr and her brother Seven (Lamar Johnson) are being instructed by their father Maverick (Russell Hornsby) on what to do if they are pulled over by a police officer while driving. The conversation drops you straight into the Carters’ lives as a black family in a world where simply being black, as Issa Rae’s character April Ofrah says, is seen as a weapon itself. Based on the YA novel of the same name by Angie Thomas, The Hate U Give explains its title in the titular scene which shapes the rest of the plot. Starr is in a car with her childhood friend Khalil (Algee Smith, who moves with effortless-cool beyond his years) who explains Tupac’s thug life philosophy: The Hate U Give Little Infants F*cks Everybody – thug life is hatred coming back to bite society – and Starr nods sagely (wise beyond her years, for reasons which become obvious as the movie progresses) that she understands. Moments later, Khalil is shot dead by a white police officer. Amandla Stenberg is a firecracker in this movie – her face moving from emotive to stoic as she moves from home to school, her body wired tight with anxiety, her voice soft, firm, building until she finds the strength to say enough is enough. Every character in this movie is flawed, and almost every character in this movie is empathetic. Almost. Where some criticised BlackKklansman for letting white people off the hook too easily (Spike Lee’s movie frames Jewishness as part of its struggle against the KKK, adding a different kind of nuance to the movie) The Hate U Give puts white people – white women, specifically – at the heart of its hate. I can’t change where I come from or what I’ve been through, so why should I be ashamed of what makes me, me? Starr’s friend Hailey (Sabrina Carpenter) is stubborn, willfully, and defensively ignorant of her behaviour, and even when that ignorance is shattered she retreats into the privilege her skin affords her. Starr’s family could easily have become signifiers for the different ‘types’ of black lives that can be led – her father an ex-con, her mother (Regina Hall as Lisa Carter) middle-class through the hard work of her family, her uncle (Common as Carlos) a cop. But instead, each is multi-layered and self-aware, and ultimately a kaleidoscope of the internal (and external) conflict of what it means to be a person of colour in a society built in your opposition. The Hate U Give should be seen by everyone, but especially by those who move through the world with the veil of white privilege – because as triumphant as The Hate U Give is as a movie, it is even more so for what you can learn from it. The ultimate questions The Hate U Give poses are: what do you do in the face of the hate you are given? What do you do with the hate you give? The answer the movie gives is straightforward: Love. But not the simplified version of love defined by greeting cards. Love as justice, love as faith, love as respect for yourself and each other. Love as understanding, learning, and fighting for what is right. 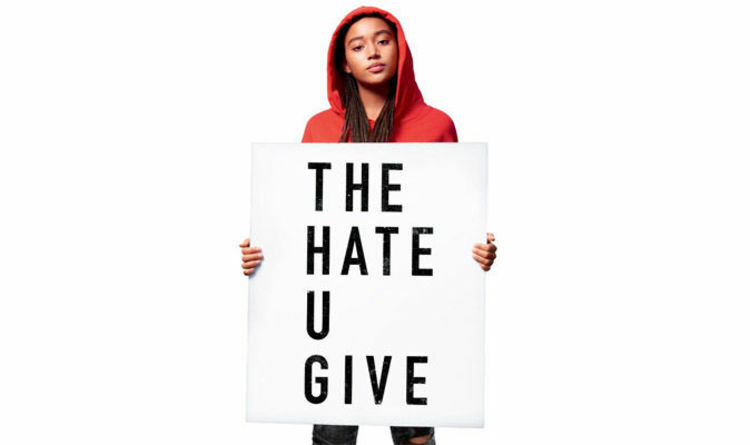 The Hate U Give is out in UK cinemas on October 22, 2018. Halloween streaming: How to watch the full movie online – Is it legal to watch online?